Dr. Richard Arno's Personal Testimony | Soul Care Ministries International, Inc. | Soul Care Ministries International, Inc. I will never forget the words that I heard the Lord speak after I came out of a coma which resulted from a deadly brain disease. It happened on 3 west—a wing in the Duke University Medical Center–a wing where they transferred patients whose diagnosis was grim and whose prognosis was death. They transferred me there so I could be made as comfortable as possible until death would finally come. No hope, no hope at all. I was 30 (now 69). Well, hold on! There was hope! There is something called Divine healing! That is what came to me instead of death—Divine healing! Ministry of Counseling? What is that? I was a Senior United Methodist Pastor but I never heard of that before! Wow! To my knowledge, up to that time (January, 1973), no one ever heard of a ministry called the “Ministry of Counseling.” I believe with all my heart that God Himself titled it that. And, the proof is that, in fact, He has sent thousands of people, throughout the World, to us to be trained for this specific ministry. I remember falling into great temptation shortly after He provided us with the “key” to helping people through counseling (Temperament Theory, Temperament Therapy, aka Creation Therapy and the A.P.S.). This model (technique) REALLY worked! 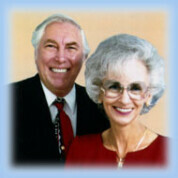 Broken marriages were being restored, depression was being thwarted, and relationship problems were being resolved! The temptation came in the way of a promise of untold wealth and fame! If I would only take Jesus out of this, I could sell it to the secular therapists and be a millionaire! I could be another Sigmund Freud! Very true! Then I asked the Lord what He thought about that. I reasoned with Him and with my wife, Dr. Phyllis, that, after all, in the long run, tens of thousands more people would be helped to resolve their problems if the “whole” World (secular therapists) could be trained to use this technique! If we keep such a precious gift in the Church and under the control of Christians; not as many people will get the help they need! He was very clear: “If people want help in these last days, they are going to have to turn to the Church and the “Ministers of Counseling” whom He has HAND CHOSEN—YOU! I am honored to be in His service and to be your servant. Bishop Richard G. Arno, Ph.D.